Blade & Rose Robin Leggings (£10) - Blade & Rose have a fun range of colourful leggings, tops, bibs, hoodies, hats, socks and toys. We have loved their leggings since Isabella was a pre-crawler, their unique designs on the bottom makes them perfect gifts for crawling babies. 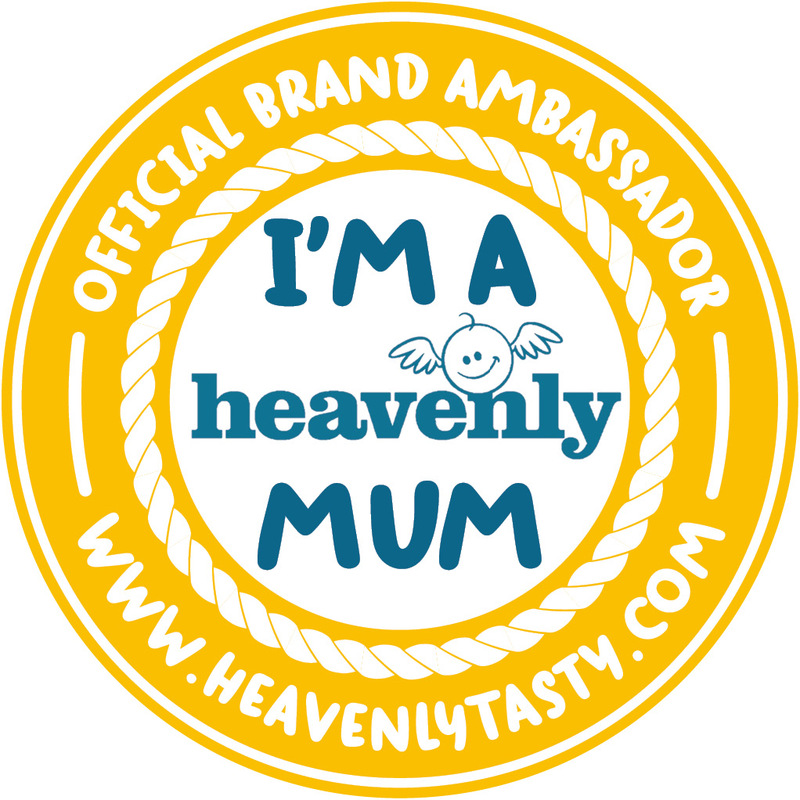 The leggings are thick and warm, with designs for all events of the year. 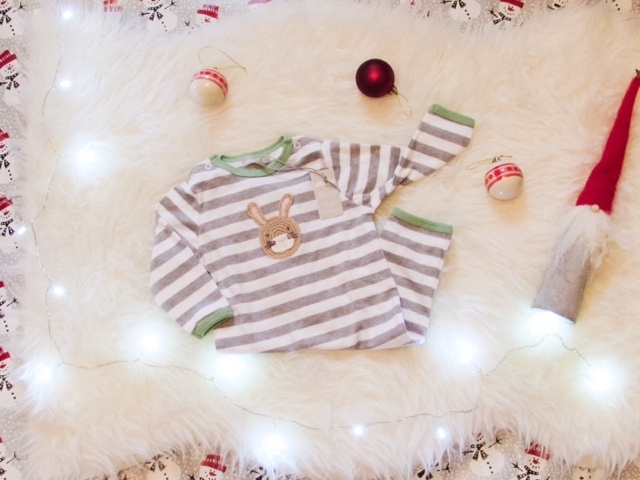 The Christmas range this year has been expanded, including leggings with a robin, Christmas pudding, reindeer, Rudolph and snowman on. 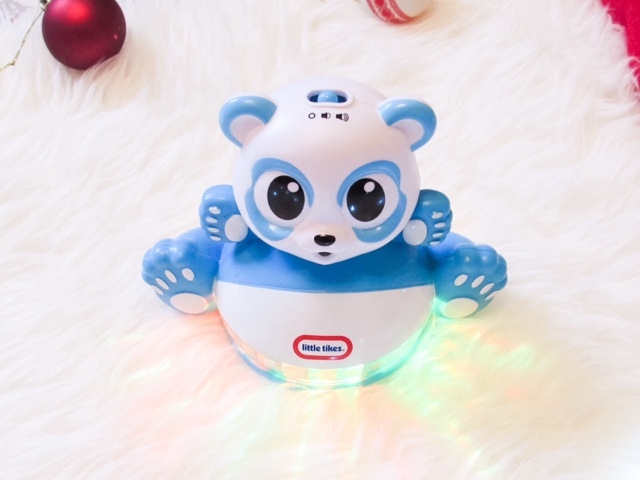 Little Tikes Light 'n Go Wobbling Panda (£9.99) - Though light up and noisy toys may not always be on the top of parents Christmas list, they certainly are big hits with babies and toddlers! Some of Isabella's most played with toys are ones that sing, dance and generally interactive with her. 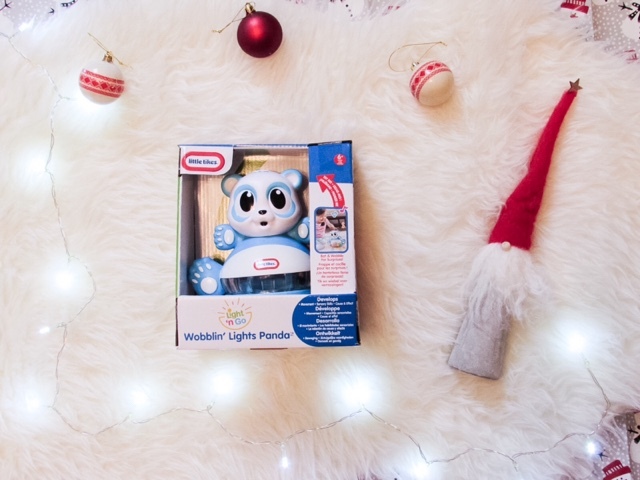 After a simple tap from a baby the Light 'n Wobbling Panda surprises them by starting to wobble, with six happy tunes, sound effects and colourful lights. 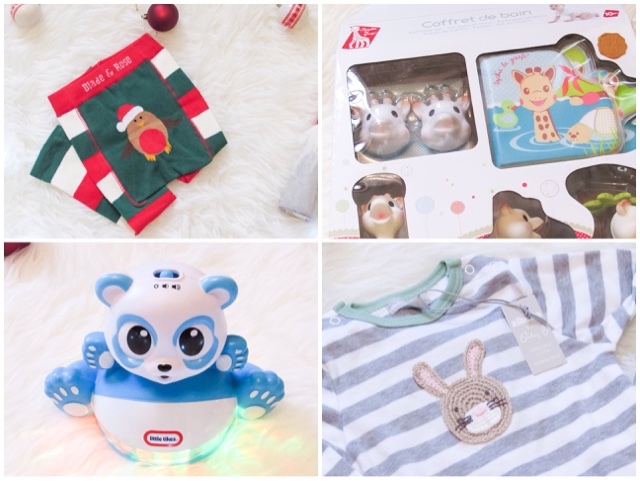 Chasing lights, dancing to music and creating change through their actions are some of babies favourite things to do, making this a fun and affordable Christmas gift. 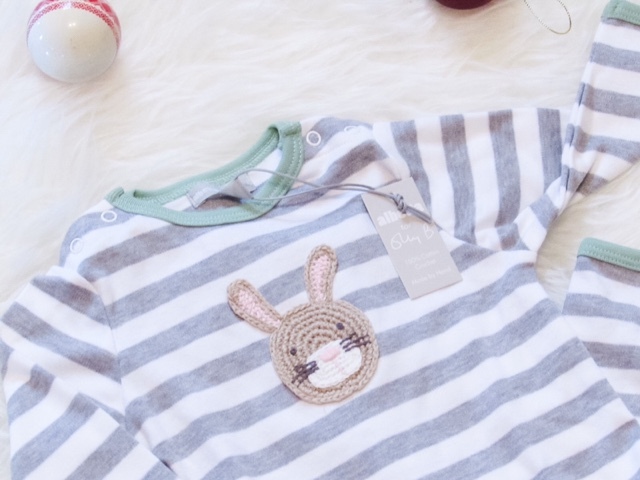 Bunny Crochet Baby Grow from Oliver Bonas (£18.50) - A cute baby grow is always going to be a winner. I always prefer to size up, so that it isn't going to be outgrown within weeks of them receiving it. 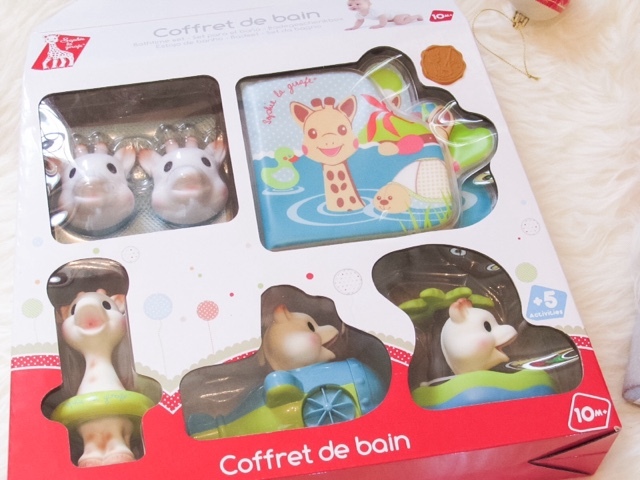 Sophie La Girafe Bathtime Set (£34.99) - Sophie La Girafe is a well known and well respected baby brand with an extensive range of products and gifts. When Isabella was younger and we attended various baby groups there was always a problem when it came to tidying up the toys - identifying who's Sophie La Giraffe teether was who's! Almost every baby had one and loved chewing on them when their teeth were giving them pain. 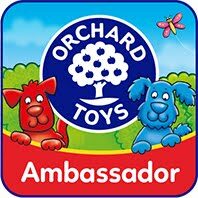 The familiar and popular Sophie character is also available in books, toys, rattles, skincare, dressing up, nursery decorations and mobiles. This Bathtime Set includes everything needed for a fun bathtime, as well as a bath net for tidying away at the end of the day. There's a bath book (very popular with Isabella), bath toy, traveller which swims up and down the bath time as well as squirts water and a Sophie La giraffe bath oasis. 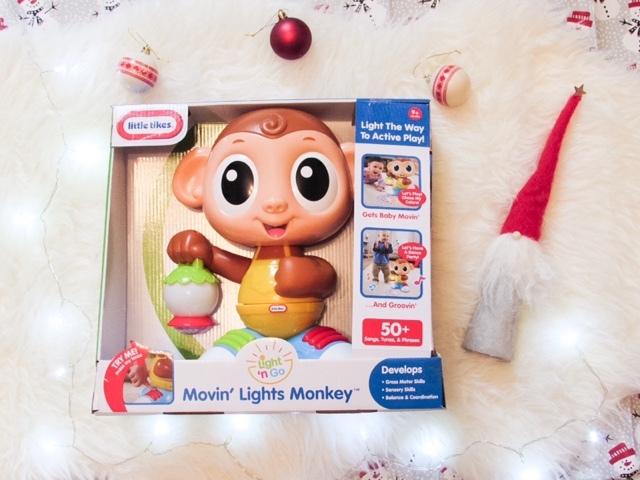 Little Tikes Light 'n Go Movin' Lights Monkey (£29.99) - As soon as I got this out to photograph it Isabella has been hassling me to play with it! The monkey is about waist height on her and she is absolutely obsessed with pressing it's feet and making it dance/light up. 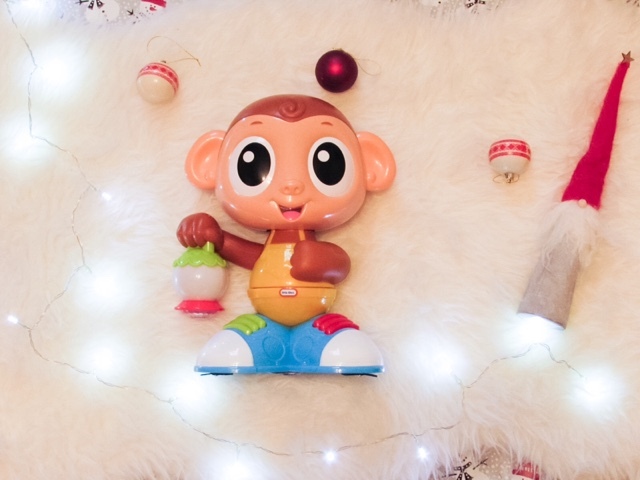 The top half of the monkey twists side to side, whilst the lantern he is holding lights up flashing a variety of colours. 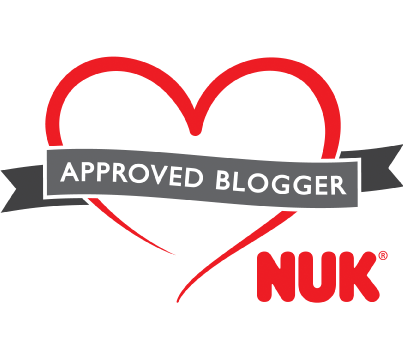 The fact that the buttons to activate the monkey are large and on the feet of the monkey means that babies and toddler's can easily do it independently. It helps to prompt movement, dancing and singing as it has 50+ sounds, songs and silly phrases. 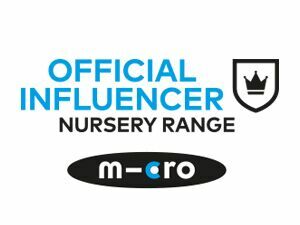 What have you got the babies in your life? 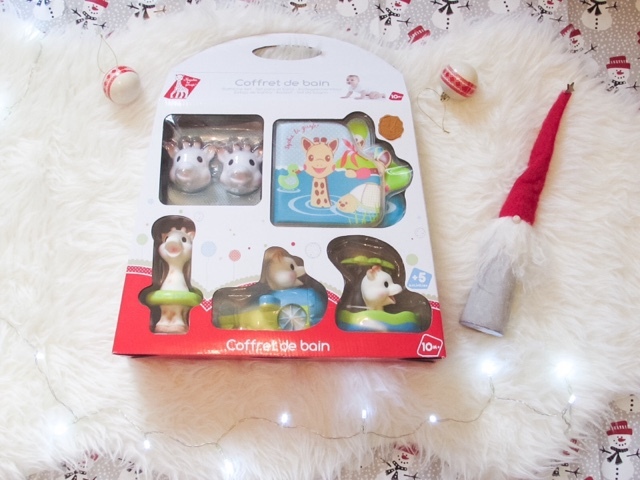 The little panda is so cute, I'm going to get that for my youngest's stocking!